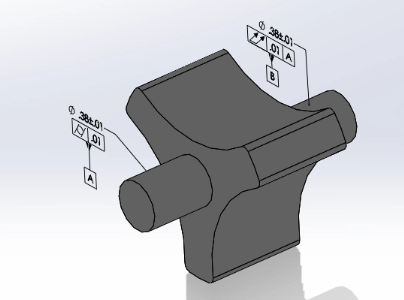 Contact between parts greatly influences the way that an assembly is designed. For example, when you design a chair, you probably intend for the legs to come into contact with the ground. When checking the height of the manufactured chair, you would ideally be able to measure the length of a leg, but the actual lengths of the legs will vary. This means that it would be more accurate to measure the height of the chair from the ground. 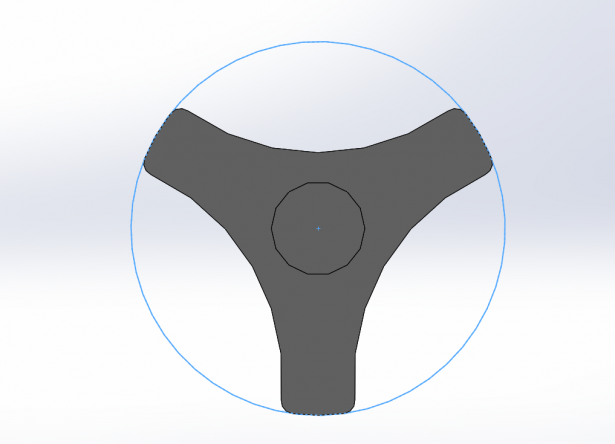 In this case, it isn’t ideal to inspect any tolerances of the seat using a datum defined by the single datum feature of the one leg, but to use all of the legs. 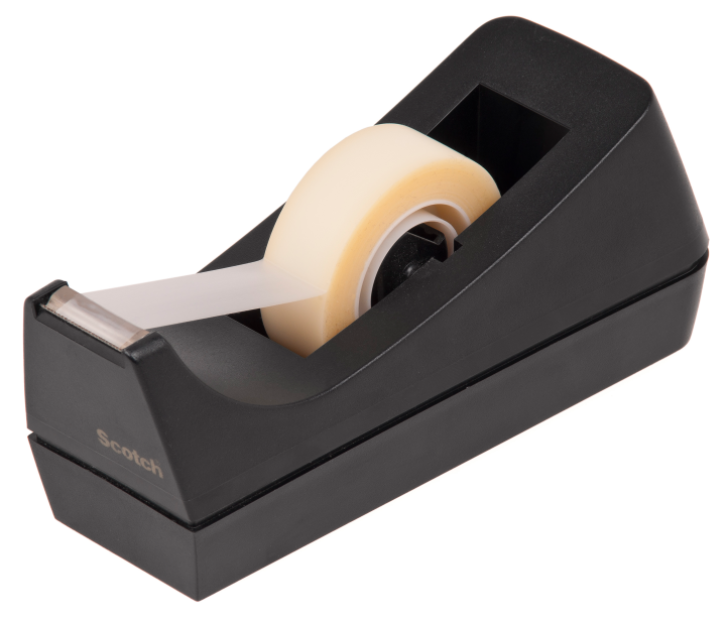 The tape dispenser shown below has a similar case. 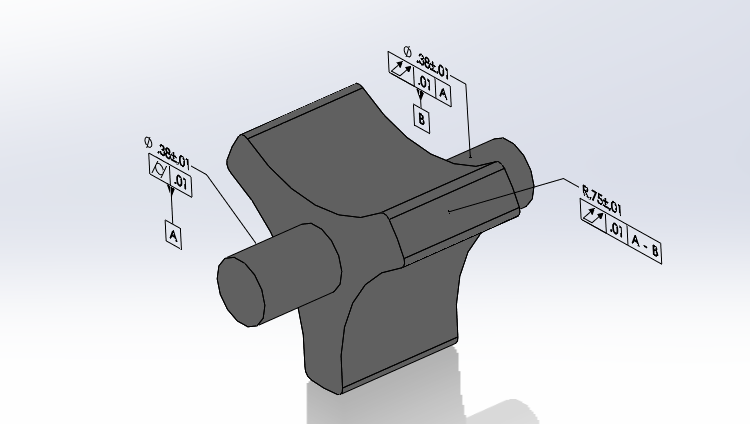 In the tape dispenser, the roll of tape is connected to the dispenser by a detachable part, shown below modeled in SOLIDWORKS. The idea behind this model was that the rounded edges that hold the roll of tape are coaxial with the pegs that slot into the tape dispenser. This is so the part which holds the tape will rotate around the axis between both of the pegs when the tape is being pulled. If I machined the part, I could inspect it in reference to only one peg, but that would not give me an accurate picture of whether the part will work in this assembly. When the tape is being pulled and this part is rotating, it will be rotating around the axis created by both of the peg features, not just one. The variation in the axis created by both pegs could be different than the one created by one of the pegs. This is what I am concerned about because it would cause the rotating part to become unstable, and potentially pop out of the tape holder when the tape is being pulled. 1. Add datum symbols and then the geometric tolerances to the pegs. 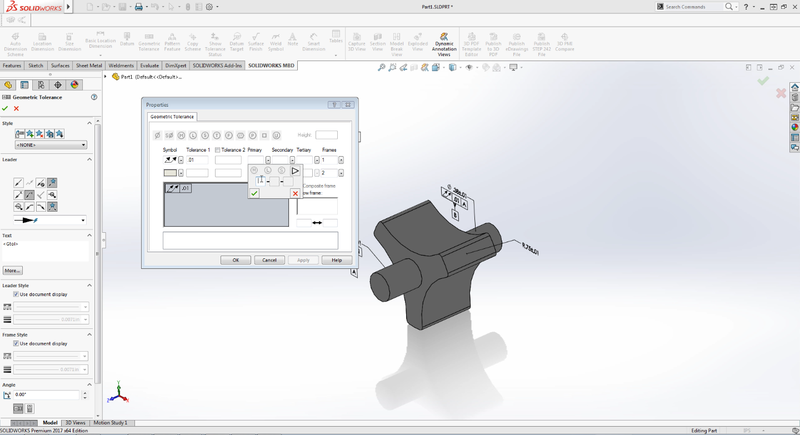 Add the datum symbols by clicking on the Datum button on the SOLIDWORKS MBD toolbar. Select the feature you want to add this datum symbol to. 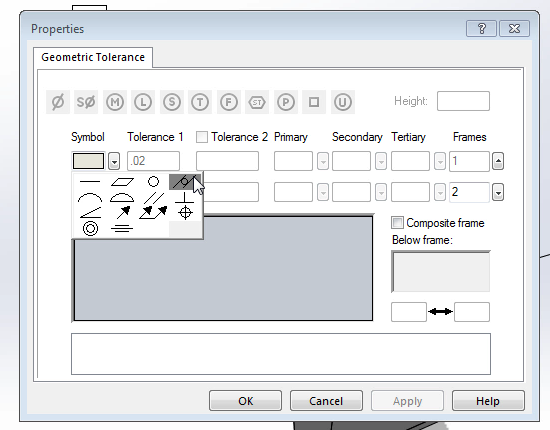 Add geometric tolerances by clicking on the Geometric Tolerances button on the SOLIDWORKS MBD toolbar. Then fill out the properties in the dialogue box that opens. Then select the feature, the same as before. 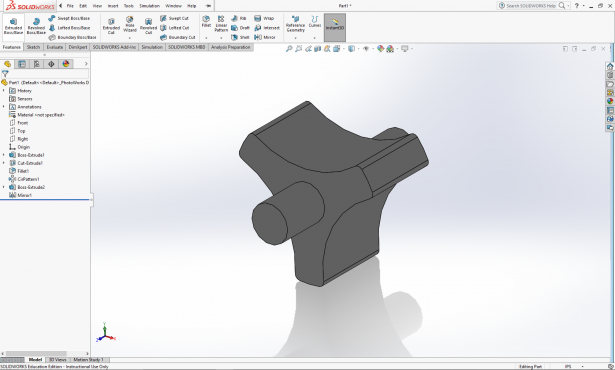 Add the dimensions by clicking on the Size Dimension button on the SOLIDWORKS MBD toolbar and selecting the features. 2. 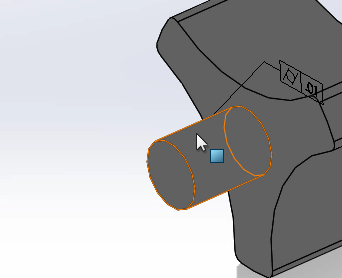 Using the same method, go to add a geometric tolerance to the outside cylindrical surface. 3. When defining the reference datums, click the drop down arrow. As you can see up to three datum symbols can be added to create a compound datum reference. Senior at Worcester Polytechnic Institute studying Mechanical Engineering. Currently working with a team of other students on a small scale water energy harvesting project.